Gutters are one part of the home that simply doesn’t get enough credit for the hard work they do to protect our property. Without gutters, our homes would come into direct contact with a lot of water, snow and ice runoff from our roofs, which in turn would likely cause significant damage to the foundation. So, if you’re looking to keep your home dry and protected from mother nature, it’s important that you address any gutter repairs that may be needed. If the gutter repairs are too severe, then investing in a replacement gutter system should be a top priority. The good news is that our team at Refuge Roofing specializes in gutter repair and replacement services in Minnesota, and we’re eager to take on your project as soon as possible. Since gutters are typically higher than eye level, they aren’t looked at very often. For most homeowners, they wouldn’t even know what to look for when it comes to gutter damage. That’s why partnering with Refuge Roofing and letting our gutter specialists provide you with a detailed gutter inspection is so critical. Being proactive to make sure that you regularly get your gutters cleaned and inspected will help you maximize the life of your gutters. Through our inspection, we’ll determine if any repairs are needed. If we find that your gutter system is failing, we’ll work with you every step of the way to provide you with affordable and long lasting replacement gutters. The best part about our gutter inspections is that we provide you with a free quote on your gutter repair or replacement needs. This no obligation estimate doesn’t put any added pressure on you when making the decision as to whether or not to pursue this home improvement project. 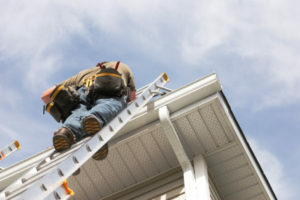 If it is determined during the gutter inspection that replacement gutters are needed, we’ll connect you with a project manager to manage this project. With every replacement gutter project that we take on, we make sure that the new gutters fit seamlessly to the home. This custom fit is designed to keep your home completely protected. At Refuge Roofing, we offer long lasting aluminum gutters in more than 30 colors. Our licensed gutter installation staff pays attention to the fine details so that your new gutters fit like a glove. If it has been quite a while since a professional has inspected your gutters, it’s time for you to make a change. The gutters are a very important part of your home. To request a gutter inspection or to get your gutter repair and replacement services handled by the experts in Minnesota, give Refuge Roofing a call today at (651) PRO-ROOF.